You know I lerve me a good graphic tee. I've been majorly stocking up on them over the last few months (seen here and here) and I just had to add this one to my collection when I found it on sale at Zara for less than $10! Casual tees can be paired with just about anything -- dressed up or down -- so something with a pretty print, quirky pattern or unique saying makes it that much more fun. I've already worn this one with white jeans, denim cutoffs and now a flowy maxi skirt to beat the nearly three digit DC heat. I also think it'll be great under almost any blazer (with a statement necklace, of course) once the fall comes. Oh, and in case you're also looking to build your collection, below are some of my favorite graphic tees for under $30! P.S. 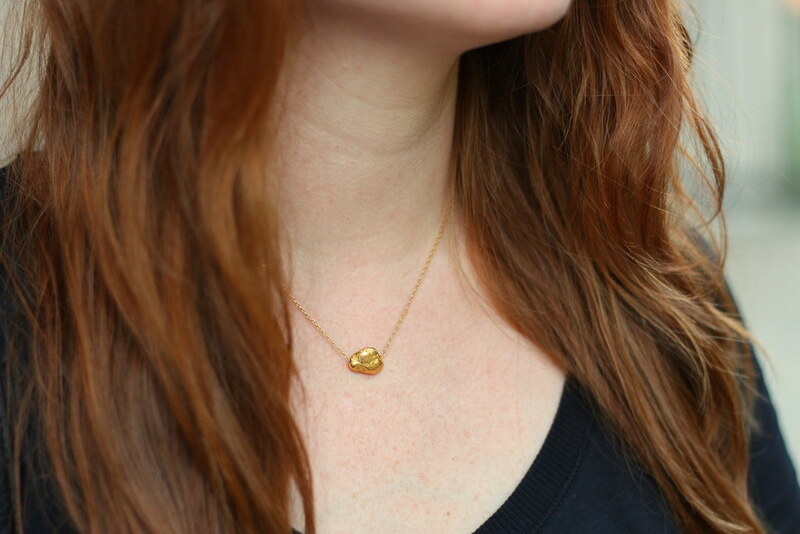 Be sure to check out Pamé Designs, where the adorable necklace I'm wearing is from! The jewelry is beachy, delicate and a celebrity favorite! 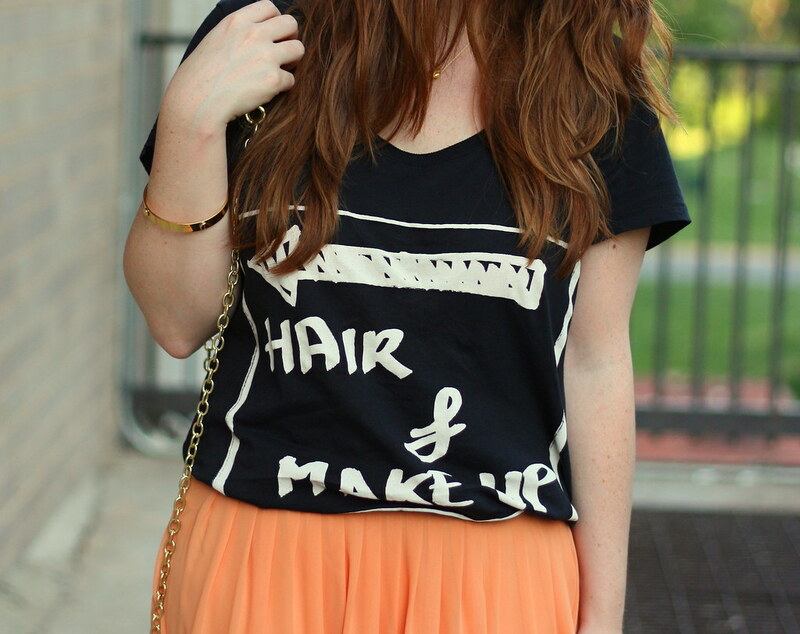 Love this tee - such a cute graphic and the idea of pairing it with a girly skirt is perfect! How cute is that tshirt! I love that necklace though, dainty jewelry is all I've been adding to my collection! I am literally on the same fashion wavelength as you! 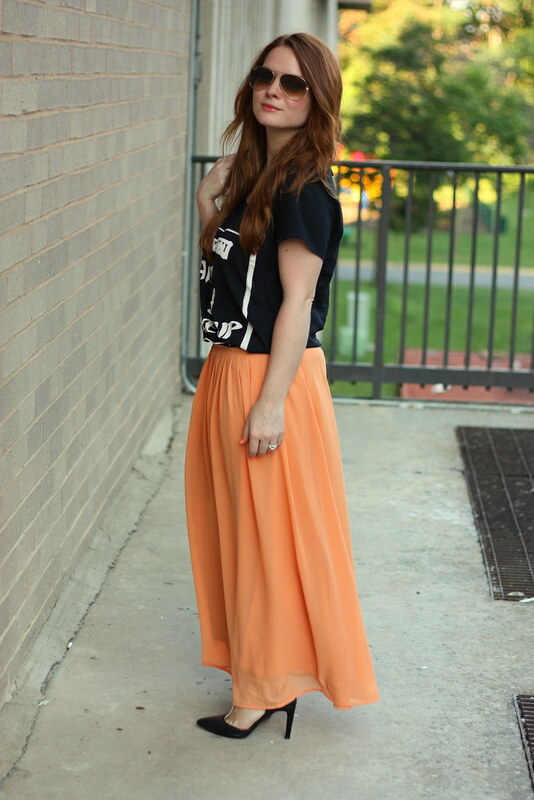 Just was dreaming up the perfect graphic T to pair with my orange maxi! 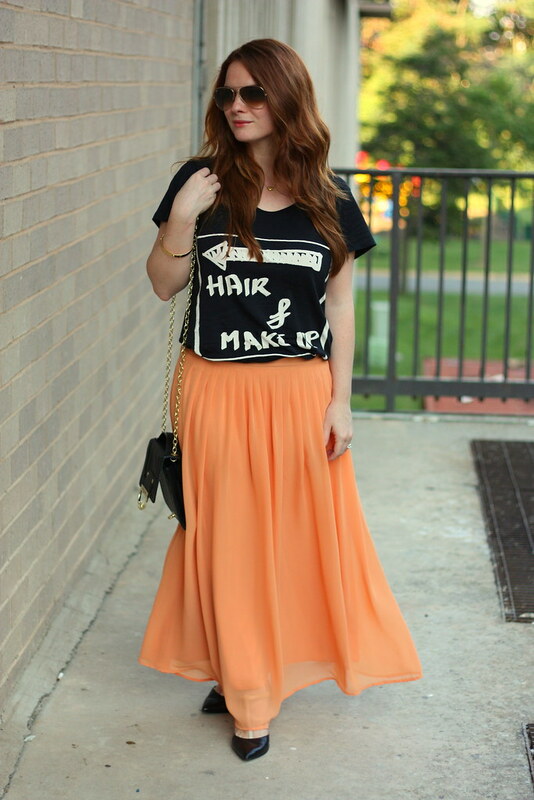 I NEED a cute graphic tee... love it paired with the maxi skirt!